Parle Biscuits Pvt. Ltd. Vs ACIT (ITAT Mumbai)- It is held that redemption of preference shares amounts to ‘transfer’ of a capital asset under the Income-tax Act and any loss on redemption thereon would thus be allowable as a capital loss. The Tribunal, relyied on the Supreme Court decisions in the case of Anarkali Sarabhai v. CIT  224 ITR 422 (SC) and Kartikeya Sarabhai v. CIT  228 ITR 163 (SC) , held that redemption of preference shares has to be considered as ‘transfer’ and loss on redemption thereof is an allowable long- term capital loss. Further, the Tribunal observed that even if for the purpose of argument, the consideration is deemed as dividend, the same amount of consideration cannot be considered at the time of computing capital gains on redemption, and therefore, the assessee may be entitled to a higher loss on redemption. On analysing the implications of section 2(22)(d) of the Act, the Tribunal held that since there is no reduction of capital in the given case, considering section 80(3) of the Companies Act, even though the amounts were distributed out of accumulated profits, the amounts received by the assessee cannot be construed as ‘deemed dividend’ and would therefore be considered as consideration received on ‘transfer’ in working out the capital gains. These are appeals by assessee and Revenue against the orders of the CIT(A) in the respective assessment years. Since common issues are involved these appeals are taken together and considered. 2. We have heard Shri P.J. Pardiwalla, the learned counsel for the assessee and Shri D.S. Sunder Singh, the learned CIT D.R in detail. 1. The learned CIT(A) erred in confirming the addition made by the assessing officer (“A.O”)for deposits written off Rs.2,63,750. 2.1 The learned CIT(A) erred in not deleting the addition made by the AO for alleged excess consumption of raw material of Rs. 1,32,51,851. 2.2 The learned CIT(A) erred in confirming the action of the AO in applying the Input/ Output formulae of 108.19 100 for computing alleged excess/short consumption of raw materials at the appellants Contract Manufacturing Units (“CMU’s”) as against the formulae of 110.607 : 100 as contended by the appellant. He erred in not appreciating the submissions made by the appellant in this connection. 2.3 Without prejudice to the above, the learned CIT(A), while confirming the action of the AO in applying the Input/ Output formulae of 108.19: 100 for the appellants CMU’s, erred in not directing the AO to make the adjustments to the amount of production of the CMU’s in computation of excess/short consumption of the CMU’s. a) The maida bags come in net weight and not as gross weight as made out to be by the assessee before CIT(A). The A. O. has already allowed adjustment of 25% on account of pre-production and post production wastage. 4. As can be seen from the grounds, ground No. 2 in assessee’s appeal is on the same issue as that of grounds in Revenue’s appeal. These are considered appropriately. 5. Ground No. 1 in assessee’s appeal is against dis allowance of deposit written off 2,63,75O/-. During the year assessee written off certain deposits lying with Maharashtra State Electricity Board aggregating to 2,63,75O/-. The amount written off was claimed as a deduction under Section 36(1)(vii) rws 36(2) or as alternative under section 28 or 37 of the I.T. Act. The deposits with MSEB, Lonavala relates to land, building and plant & machinery, which have been sold in financial year 1996-97 (A.Y. 1997-98) and since these assets were not with the assessee the deposits were not recoverable and were written off. The DCIT disallowed the claim on the reason that the deposit with the Government undertaking cannot be written off and assessee has not made any attempt to recover the amount. Before the CIT(A) it was submitted that the deposits relate to assets which had been disposed off in earlier year and as assessee was not in a position to obtain refund, the same was written off. It was the contention that the same is allowable under section 28/37(1) being a loss arising out of and incidental to business. The CIT(A) rejected the contentions stating that the amount could not be allowed as a bad debt as the conditions under section 36(2) were not satisfied. Regarding the claim under section 28/37 as the assessee transferred the business in connection with which the deposits were claimed the amount cannot be allowed as a loss incidental to the business. 6. After considering the rival submissions and examining the issue we are of the opinion that the amount cannot be allowed as a deduction. It is admitted that the amount cannot be allowed as bad debt as assessee has not fulfilled the conditions under section 36(2). With reference to the claim under section 28/37(1) it can be considered as a loss arising in the course of business but this loss has not arising during the year. As the units was transferred in F.Y. 1996-97 relevant to A.Y. 1997-98 the deposits made with reference to the said unit could have been claimed in the year in which the same was sold off. Since the unit was already sold in an earlier year and since the assessee has not made any adjustment with reference to the deposits in that year, the same cannot be allowed during year under consideration. For this reason, we uphold the order of the lower authorities in not allowing the amount. Accordingly the ground is rejected. 7. Ground No. 2 in assessee’s appeal and ground Nos. 1 & 2 in Revenue’s appeal relate to addition of 1,32,51,851/- made by the A.O. on account of excess consumption of raw material. 8. Facts of the case, in brief, are that the assessee company is in the business of manufacturing of biscuits. The same are manufactured under the brand names of Parle-G, Krackjack, Monaco, Nimkin, etc. Besides having its own manufacturing unit at Bahadurgarh (Haryana) and at Neemrana (Rajasthan), it also gets the manufacturing done through its various Contract Manufacturing Units (CMUs) which manufacture Parle-G and cream biscuits. 9. The Assessing Officer during the course of assessment proceedings noted that in the earlier year an addition for the difference between the actual consumption of raw materials in the manufacture of the products and the standard consumption as per the standard input-output formula has been made wherever there has been excess consumption. 10. He noted the first addition was made in A.Y. 1988-89. In that year, the assessee was asked to give the input-output ratio of the raw material consumed and the finished product manufactured. Assessee submitted the input-output ratio as 108.19 : 100 which means 108.19 kg of raw material to be consumed for producing 100 kg of biscuits. This input-output ratio was based on scientific calculations for ideal condition. The Assessing Officer found that the actual consumption of raw material was more than what should have been consumed as per the formula. He therefore, added the value of excess raw material consumed as income. Similar addition was made in A.Y. 1989-90 also. The matter went in appeal before the CIT(A) and it was contended before the CIT(A) that the input- output ratio of 108.19:100 did not take into consideration the various wastage in the consumption of raw material as well as excess weight in the finished product. It was submitted that the consumption of maida was accounted for in the books along with the weight of bags which was roughly 1 kg. Therefore, the actual consumption of maida would be less than what has been shown in the accounts. Similarly, there were wastage on account of unfinished/burnt biscuits which were also not taken into account for making the dis allowance on the basis of input-output ratio. In respect of the finished product it was submitted that the actual weight of the biscuits in the packets were generally more than the printed weight and as such the actual production was more than the production recorded in the books of account. The CIT(A) accepted the submission of the AR and set aside the order with a direction to the Assessing Officer to recompute the amount of excess consumption after taking into account the submission made by the assessee in this regard. Effect to this order was given by the Assessing Officer vide order dated 10.05.1996 in which the Assessing Officer has considered in detail the submission made by the assessee and has allowed relief on account of wastages as contended by the assessee. 11. In the original order in the A.Y. 1989-90 an addition of 49,20,000/- was made by the Assessing Officer. This addition was reduced to 22,72,270/- after giving effect to the order of the CIT(A). In giving effect to the order of the CIT(A), addition of 22,72,270/- was made on account of excess consumption of sugar without setting off of short consumption of maida and vanaspati. On further appeal, the CIT(A) held that set off for short consumption should be allowed and only net excess consumption after allowing relief of 25% on it for other factors should be added to income. Accordingly, the addition of 22,72,270/- was further reduced to 5 ,22,385 / -. 12. In all subsequent years additions were being made on the basis of the decision given by the CIT(A) in A.Y. 1989-90. However, in the year under consideration following the same principle there was a short consumption of raw material to the tune of 1, 11,21,729/- instead of excess consumption as was being worked out in all earlier years and as such it was submitted that no addition was to be made. The Assessing Officer has, however, departed from the method of working out the excess consumption in earlier year and did not allow following adjustment. i) In respect of production from own factory of the assessee, the Assessing Officer did not accept the contention of the assessee for allowing wastage of 1 kg maida in each bag of maida consumed. ii) The difference between the declared weight of biscuits and the actual weight of biscuit packets in respect of Crackjack, Monaco and Nimkin biscuits were taken on the same proportion as in the case of Parle-G ignoring the laboratory reports of excess weight in biscuit packets submitted by the assessee. iii) No adjustment made by the Assessing Officer in respect of biscuits produced by contract manufacturer. The Assessing Officer accordingly made an addition of Rs. 1,57,84,868 to the total income of the assessee on account of excess consumption of raw materials. 13. In appeal, it was submitted by the assessee that when maida bags are emptied some maida is left over in the bag and do not go through the production process. It was submitted that nearly 1 kg of maida is left over in each bag which should be deducted from the amount of consumption of raw material for working out the excess consumption. It was submitted that such adjustment has been allowed in A.Y. 1989-90 and in all subsequent years. 14. As regards the adjustment for excess weight of biscuits for other brands i.e., other than Parle-G it was submitted that usually the actual weight of biscuits in packets is more than the printed weight. Therefore, the actual production is more to this extent and this should be taken into account for working out the amount of excess consumption. The order of the CIT(A) for A.Y. 1989-90 was brought to his notice where on the basis of the direction of the CIT(A), the Assessing Officer weighed the sample packets of Parle-G to verify the claim and found that the weight of biscuits was actually more than the printed weight and accordingly had allowed the adjustment for excess consumption. However, during the year under consideration the Assessing Officer has not given similar relief in case of other brands in the same proportion in which it was allowed in Parle-G.
15. As far as adjustment in respect of biscuits produced by contract manufacturers, it was submitted that the assessee besides manufacturing biscuits in his own factory also gets the biscuits manufactured through contractor. According to the Assessing Officer while the input-output ratio for production in respect of the assessee’s own factory is 108.19:100, the same in respect of CMUs it is 110.607:100. It was submitted before the Assessing Officer that CMUs were in the nature of sub-contractor who were given raw material against which fixed amount of biscuits were received as finished product. The CMUs are paid only the processing charges and any wastage, etc., in the process of manufacturing is on account of CMUs. Therefore, the input-output ratio for the CMUs has to be higher than the input-output ratio in respect of own factory. Since no wastage has been allowed in respect of CMUs, the Assessing Officer should have accepted the ratio of 110.607:100. It was further submitted that the Assessing Officer has no evidence on record to doubt the genuineness of the input-output ratio in respect of CMUs in the books of account. Further if the input-output ratio of 108.190:100 is applied to the CMUs, the wastage as allowed in respect of own factory should also be allowed in respect of production from CMUs. However, as the CMUs were on contract basis, the detailed figures of wastage are not available with the assessee and therefore, exact amount of adjustment for different kinds of wastage as has been done in respect of the own factory input-output ratio shall not be possible in the case of CMUs. 16. Based on the various arguments advanced by the learned counsel for the assessee, the CIT(A) rejected the contention of the assessee for allowing wastage of 1 kg of maida in each bag of maida consumed. He noted that during the A.Y. 1989-90 the Assessing Officer while giving effect to the order of the CIT(A) had only made adjustment in respect of weight of empty bag and not on account of left over maida. In all subsequent years also adjustment for the weight of empty bag which was found to be nearly 1 kg has been allowed. He accordingly directed the Assessing Officer to allow adjustment for empty bags of maida as has been done in A.Y. 1989-90 and all subsequent years, if it has not already been adjusted in the order passed. 18. On the basis of the above, he noted that after reducing the weight of empty packets, actual weight of biscuits exceeds the declared weight. He accordingly directed the Assessing Officer to allow adjustment for the excess weight of biscuits on the basis of these results. He further directed the Assessing Officer to get the packets weighed again in case he requires the same and allow adjustment accordingly. 20. He accordingly directed the Assessing Officer to verify these figures subject to the condition that no adjustment in respect of left over maida in the bags is to be made and allow relief. Both the parties are in appeal on the above order of CIT(A). 21. The learned counsel for the assessee submitted that the assessee which is in the business of manufacturing of biscuits, manufactures the same at its own factory and also through various CMUs. The Assessing Officer while completing the assessment adopted the standard formula of input-output ratio of 108.19:100 and accordingly calculated the excess consumption of raw material to the tune of Rs. 1,32,51,851/- and added to the total income of the assessee. He submitted that while making the addition on account of excess consumption of raw material the Assessing Officer has neither rejected the books of account nor made an allegation of suppressed production. He submitted that full details of purchases were filed and it has not been proved by the Assessing Officer that such purchases are not genuine. There is also no case of the Assessing Officer that the assessee sold its goods outside the books of account. He submitted that the assessee has maintained all the books statutorily required which are duly audited as per the Companies Act and Income-tax Act. The assessee’s accounts cost-wise also were audited. The books of account were audited and verified by the Excise Department. In absence of any primary material to reject assessee’s books of account the Assessing Officer cannot make the addition. Referring to the consolidated order of the Tribunal for the A.Ys. 1989-90, 1991-92 and 1994-95 to 1996-97, a copy of which is placed at Paper Book pages 166 to 174, the learned counsel for the assessee referred to para 11 of the order and submitted that the Tribunal while accepting the grounds of the assessee has held that no addition can be made on account of excess consumption. 22. Referring to the decision of the Hon’ble Bombay High Court in the case of R.B. Bansilal Abirchand Spinning & Weaving Mills vs. CIT reported 75 ITR 260, he submitted that the Assessing Officer’s right under the proviso to section 13 (Income-tax Act, 1922) arises only if a finding is recorded as to the unacceptability of the method and irregularity of the accounts kept. In the absence of such a finding recorded by the authority the results cannot be ignored or brushed aside. The mere fact that the percentage of dead loss of cotton is high in a particular year cannot lead to an inference that there has been suppression of the production in the spinning mill. Accordingly it was held that the addition of 50,000/- to the total income of the assessee on account of alleged understated production of the yarn and soft waste was not justified. 23. Referring to the decision of the J & K High Court in the case of International Forest Co. vs. CIT 101 ITR 721, he submitted that the Honourable High Court in the said decision has held that mere low yield of out-turn sawn timber or the manifestation of meagre gross profit, which were the sheet anchors of the orders of the income-tax authorities and Tribunal could not be taken as indication of suppression of sales on the part of the assessee. 23.1 Referring to the decision of the Honourable Patna High Court in the case of Motipur Sugar Factory vs. CIT reported 95 ITR 401, he submitted that the Honourable High Court in the said decision has held that when the entire manufacturing process of sugar was subjected to the supervision and checking of the Central Excise Officers posted at the factory and the accounts of the assessee are audited by a reputed firm of chartered accountants, the Tribunal was wrong in drawing an adverse inference and in rejecting the assessee’s accounts and sustaining the addition. 23.2 Referring to the decision of the Hon’ble Kerala High Court in the case of St. Teresa’s Oil Mills vs. State of Kerala reported in 76 ITR 365, he submitted that disparity in consumption of electricity would not justify the rejection of accounts in absence of any other supporting circumstances because such variation could be due to various factors outside the control of the assessee. 24. He submitted that in the instant case, the Department has established nothing except excess consumption. Referring to Paper Book, he submitted that a detailed reply was given to the Assessing Officer. However, the Assessing Officer has not carried out any enquiry with any of the suppliers to prove that the purchases are bogus. Referring to Paper Book he submitted that a note on computation of quantity and value of raw material, unit-wise production figures, note on yield of biscuits, handing loss and operational loss, etc., was given to the Assessing Officer. He submitted that a note on why a standard or theoretical formula cannot be applied to work out the consumption of raw material was given to the Assessing Officer. Therefore, without considering all these factual aspects, the Assessing Officer cannot make an addition on account of excess consumption of raw material. He submitted that since the Tribunal has already deleted such excess consumption to the extent sustained by the CIT(A) for the A.Ys. 1989-90, 199 1-92 and 1994-95 to 1996-97,, no addition is called for on this issue. 25. The learned DR, on the other hand, while supporting the order of the CIT(A) drew the attention of the Bench the CIT(A) ‘s order and submitted that the assessee has nowhere explained as to why there was short production. He submitted that if the accounts are correct there cannot be any short consumption. The assessee had not produced any evidence as to whether it is the gross weight or net weight. The wastage as submitted by the assessee has already been taken care of by the standard formula. He submitted that the Assessing Officer and the CIT(A) have not discussed the issue of 108.19:100 in a scientific manner. The various decisions relied on by the learned counsel for the assessee are distinguishable and not applicable to the facts of the present case. Therefore, he submitted that the matter may be set aside to the Assessing Officer. 26. The learned counsel for the assessee, in his rejoinder, submitted that not a single word about the order of the ITAT for the earlier year has been mentioned. He submitted that it is not known who devised the formula of input-output ratio of 108.19:100 in the A.Y. 1989-90. In any case the same has already been deleted by the Tribunal. He submitted that in case of good quality of raw material like maida and sugar there will be less consumption. There is no dispute regarding the weight of the maida bag being 100 kg. However, the dispute is only regarding the maida that remains in the bag. He submitted that there is bound to be some loss in the process. He accordingly submitted that no addition is called for. Respectfully following the same, as the facts are identical, we direct the A.O. to accept the book results of the assessee as far as manufacturing of biscuits through own factory is concerned. 29. As regards the issue relating to the manufacturing of biscuits through CMUs is concerned, we find the Assessing Officer noted that the input-output ratio in the CMUs are shown by the assessee at 110.60:100 as against 108.19:100 in case of own factory. We find the Assessing Officer rejected the various submissions given by the assessee and applied the ratio of 108.19:100 for the CMUs also. We find the CIT(A) directed the Assessing Officer to make the same adjustments to the CMUs which are applicable to own factory. Based on the figures given by the assessee, he directed the Assessing Officer to verify these figures subject to the condition that no adjustment in the case of left over maida is to be made. 30.In A.Y. 2002-03 the matter was restored back to the A.O. for examination of assessee’s contention that if the input-output ratio of 108.19 : 100 for the CMUs is applied the necessary adjustments which are allowed to the own manufacturing unit should also be allowed to the CMUs. Further the matter was set aside to the file of the A.O. to make necessary verification and give proper relief to the assessee. However, as seen from the facts of this year, there was no excess consumption as far as CMUs are concerned. The A.O. arrived at the excess consumption in own units at 1,91,79,273/- and short consumption to the extent of 15, 10,138/- from the CMUs. The net excess consumption was worked out at 1 ,76,69, 135/-. Further allowing a deduction of 25% as per the directions of the CIT(A) in earlier years, the net addition was arrived at a sum of 1,32,51,851/-. As can be seen from the above facts (the working of the A.O. in page 12 of the order) there is no excess consumption as far as CMUs are concerned. We are of the opinion that there is no need to set aside the issue back to the A.O. as the A.O. has not quantified any excess consumption as far as the Contract manufacturing units are concerned. As the excess consumption in the case of own units was deleted, we are of the opinion that the issue in case of CMU’s need not be set aside as in last year, as on the facts no addition can be made by the A.O as there was no excess consumption worked out on AO’s method on these units. In view of this, we direct the A.O. to accept the book results. 31. As far as ground No. 1 and 2 by Revenue is concerned, in view of our finding in the preceding paragraph accepting the book results of the assessee for production through own factory, we do not find any infirmity in the order of the CIT(A) in directing the Assessing Officer to allow adjustment for empty bags of maida while working out the ratio of consumption of raw material and production. The ground No. 1 and 2 of Revenue are accordingly dismissed. 32. Ground No. 3 in assessee appeal pertain to the disallowance of long term capital loss of 35,58,7 18/- on account of redemption of preference shares. 33. The facts in brief are that assessee claimed capital loss of 35,58,718/- on account of redemption of preference shares. The total consideration received by assessee on redemption of preference shares has two categories. The preference shares are of SFR Ltd. and Himachal Futuristic Communications Ltd. Both these preference shares were allotted to the assessee company in the month of July 1995 at a face value of Rs. 1,000/- and were redeemed in July 1997 at a value of 1,OOO/-, i.e. same value. In the notes attached to the statement of Income assessee stated that redemption of preference shares amounts to transfer within the meaning of section 2(47) relying on the decision of the Hon’ble Supreme Court in the case of Anarkali Sarabhai vs. CIT 224 ITR 422. Assessee claimed indexation benefit on cost of acquisition of 2 crores thereby arriving at the cost of acquisition at 2,35,58,7 18/-. The resultant difference was claimed as capital loss on redemption of preference shares. The A.O. did not agree with the above and stated that the receipt of money on redemption has to be treated as dividend within the meaning of section 2(22)(d) relying on the judgement of the Honourable Supreme Court in the case of CIT vs. G. Narasimham & Others 236 ITR 327. He held that since the amount was to be covered within the provisions of section 2(22)(d) the question of claiming capital loss does not arise and since redemption has taken place after 3O.O6.1997 the dividend was not taxable as such. Therefore long term capital loss pertaining to redemption of preference shares at 35,58,7 18/- was disallowed. Assessee contested the same before the CIT(A). The CIT(A) vide para 9.2 considered that similar issue had come up in A.Y. 1998-99 before the CIT(A) in the case of assessee’s holding company Parle Products Pvt. Ltd. in which the issue was decided against the assessee. Following the same, on identical facts the ground was rejected. There is no discussion about the issues contested by assessee in the order of CIT(A)..
(a) Redemption of preference shares of Indian Lead Ltd. is covered by exception (i) to section 2(22) since preference shares are non participating. This exception states that a distribution made under clause (d) of section 2(22) in respect of share issued for full cash consideration where the holder of the share is not entitled in the event of liquidation to participate in the surplus assets, will not be included as dividend. The Preference shares are not entitled to participate in surplus income / assets unless they are “Participating preference shares”. The shares issued by these companies are not Participating Preference shares. Reference in this connection may be made to schedule 5 page 14 of annual accounts (page 16 of compilation) where the shares are described as “12.5% Redeemable Cumulative Preference shares”. If the shares were participating preference shares are word “Participating” would have been specifically mentioned and the shares would have been described as such in the schedule just as the shares have been specifically described as “Cumulative” and “Redeemable” in the present case. Hence as the shares are not participating preference shares the exception (i) to section 2(22)(d) will apply and the amount will not be taxable as deemed dividend u/s 2(22)(d) but as capital gains under section 45. (b)that Sec. 2(22)(d) refers to any distribution to the shareholders by a company on the reduction of its capital………. Sec 80(3) of the Companies Act, 1956 provides that redemption of Preference shares under the section shall not be taken as reducing the amount of its share capital. Accordingly section 2(22)(d) which deals with reduction of capital does not apply to redemption of Preference shares since redemption of such shares is not a reduction of capital in view of specific provisions of section 80(3) of the Companies Act. 35. The learned D.R., however, submitted that redemption of preference shares does not yield to capital loss and assessee claimed only indexation loss as capital loss. It was further submitted that A.O. treated the amount as deemed dividend, therefore, the question of allowing the loss does not arise. 36. In reply the learned counsel submitted that if the entire amount is treated as deemed dividend then the whole of consideration received consequent to redemption would got exempted as dividend and was not taxable and since assessee has redeemed the shares the loss would go up by same amount, if the contentions of Revenue that it is deemed dividend are to be accepted. He relied on the decision of the Hon’ble Bombay High Court in the case of CIT vs. Surat Cotton Spinning and Weaving Mills Pvt. Ltd. 202 ITR 932. It was submitted that assessee was claiming only capital loss consequent to redemption which should be allowed. “When a preference share is redeemed by a company, what the shareholder does in effect is to sell the hare to the company. The company redeems its preference shares only by paying the preference shareholders the value of the shares and taking back the preference shares. In effect, the company buys back the preference shares from the shareholders. If redemption of preference shares did not amount to sale, it would not have been necessary, in section 77 of the Companies Act, 1956, to specifically provide that the restriction imposed upon a company in respect of buying its own shares will not apply to redemption of shares issued under section 80 of that Act. The redemption of preference shares by a company, therefore, is a sale and squarely comes within the phrase “sale, exchange or relinquishment” of an asset in section 2(47)(i) of the Income-tax Act, 1961. The definition of “transfer” in section 2(4 7) of the Income-tax Act, 1961, is not an exhaustive definition. Sub-clause (i) of clause (47) of section 2 speaks of “sale, exchange or relinquishment of the asset” and implies parting with any capital asset for gain which will be taxable under section 45 of the Act. When preference shares are redeemed by the company, the shareholder has to abandon or surrender the shares, in order to get the amount of money in lieu thereof. There is, therefore, also a relinquishment which brings the transaction within the meaning of section 2(47)(i) of the Income-tax Act. 39. Consequently, the redeeming of preference shares has to be considered as a transfer under the meaning of section 2(47). Therefore computation of capital loss has to be considered on this transaction. Assessee has worked the cost of acquisition as per the provisions of section 48 and since shares was held for more than one year and being a long term capital asset, indexed cost of acquisition has been claimed as against the sale consideration received. On the facts of the case, assessee purchased preference shares at a cost of 2 crores and the same was redeemed at face value and assessee received only 2 crores. However, by virtue of mode of computation prescribed under section 48 of the I.T. Act assessee’s sale consideration being 2 crores and indexed cost of acquisition being 2,35,58,718/- being the deduction allowable under section 48, the net loss of 35,58,718/- has been computed. This amount is an allowable long term capital loss. 42. It was further held that thus the amount distributed by a company on reduction of its share capital has two components, i.e. distribution attributable to accumulated profits and distribution attributable to capital (except capitalised profits). To the extent of accumulated profits whether such accumulated profits are capitalised or not, the return to the shareholder on reduction of share capital is a return of such accumulated profits. This part of it is taxable as dividend. The balance may be subject to tax as capital gain, if they accrue. 43. Adopting the same principles here, since there is no reduction of share capital in the given case, consequent to section 80(3) of the Companies Act which states that redemption of preference shares under this section shall not be taken as reducing the amount of its authorised share capital, that part of the amount received by assessee as face value, even though paid out of accumulated profit, does not fall within the definition of deemed dividend, therefore, cannot be treated as deemed dividend. So the amount received on redemption of preference share has to be considered as consideration received on transfer in working out the capital gain, which assessee did. “Section 2(22) deals with various types of cases and creates a fiction by which certain receipts or parts thereof are treated as dividend for the purpose of levy of income-tax. A deeming provision is intended to enlarge the meaning of a particular word which includes matters which otherwise may or may not fall within the provision. It should be, therefore, be extended to the consequences and incidents which shall invariably follow. In other words, the consequences and incidents flowing from a legal fiction should also be deemed to be real. The very same income or the very same receipt cannot be assessed twice under two different heads of income. “Dividend”, which is income from other sources and “Capital gains” are two different heads under which the income falls to be charged. That being so, once a particular receipt has been treated as dividend, it cannot be treated as income under any other head. The duty of the Income-tax Officer is to find out the appropriate head under which the receipt in question can be assessed. Once he assesses a particular receipt under a particular head of income, that amount is no more available to him for assessment under another head. The Revenue cannot approbate and reprobate. It cannot be permitted to treat a part or the whole of the consideration as dividend and to assess the same as such and also t say that this will not have the effect of reducing the amount of consideration for the purpose of computation of capital gain. 45. In view of the above principle laid down, assessee would become eligible for capital loss of 2,35,58,718/-, if the issue of deemed dividend as was done by the A.O., were to be accepted. 46. We are of the opinion that the redemption of preference shares at face value without any premium or discount does not result in any amount to be considered as deemed dividend and assessee’s claim of loss by way of computation prescribed by the Act is correct. The loss of 35,58,7 18/- is consequently allowable as long term capital loss. Therefore the A.O. is directed to allow the same as claimed. Assessee’s ground on this is allowed. 47. Assessee appeal is partly allowed whereas Revenue appeal is dismissed. 1.1 The learned CIT(A) erred in not deleting the addition made by the assessing officer (“AO”) for alleged excess consumption of raw materials of Rs. 74,12,408. 1.2 The learned CIT(A) erred in confirming the action of the AO in applying the Input/Output formulae of 108.19 : 100 for computing alleged excess/short consumption of raw materials at the appellants Contract Manufacturing Units (“CMU’s”) as against the formulae of 110.607 : 100 as contended by the appellant. 1.3 Without prejudice to the above, the learned CIT(A), while confirming the action of the AO in applying the Input/Output formulae of 108.19: 100 for the appellants CMU’s, erred in not directing the AO to make the adjustments to the amount of production of the CMU’s in computation of excess/short consumption of the CMU’s. The A. O. has already allowed adjustment of 25% on account of pre-production and postproduction wastages. 49. Ground No. 1.1 to 1.3 in assessee’s appeal and ground Nos. 1 & 2 in Revenue’s appeal relate to addition of 74,12,408/- made by the A.O. on account of excess consumption of raw material. The facts are similar to A.Y. 1998-99. The A.O. made an addition of 74,12,408/- on account of excess consumption of raw material. Since the facts are similar to A.Y. 1998-99, for the detailed reasons given therein, vide paras 27 to 31 above, the grounds of assessee are allowed and the grounds of the Revenue are rejected. 50. Ground No. 2 in assessee’s appeal is with reference dis allowance of long term capital loss of 15,08,196/- on redemption of preferential shares. 51. The facts are that in the statement of capital gains assessee has shown loss of 15,08, 196/- on account of redemption of 13.5% L&T Finance Ltd. preference shares at face value. In the notes attached with the statement of income, assessee had stated that the redemption of preference shares amounts to transfer within the meaning of section 2(47) and it has relied upon the decision of the Hon’ble Supreme Court in the case of Anarkali Sarabhai vs. CIT 224 ITR 422. 52. This ground is similar to the ground raised by assessee in A.Y. 1998- 99. For the reasons mentioned above for A.Y. 1998-99, vide paras 37 to 46, this ground of assessee is allowed. 1 The learned CIT(A) erred in not deleting the addition made by the assessing officer (“AO”) for alleged excess consumption of raw material of Rs. 32.08,452. 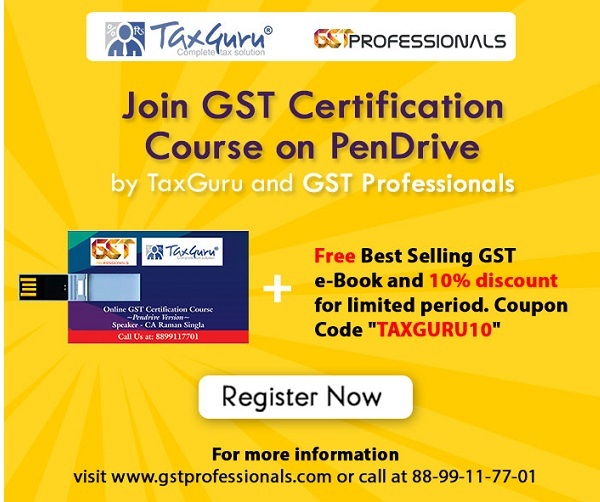 2 The learned CIT(A) erred in not directing the AO to follow the order of the Income-tax Appellate Tribunal in the appellants own case for the assessment years 1989-90, 1991-92, 1994-95, 1995-96 and 1996-97 in respect of the addition for alleged excess consumption of raw materials made in the case of the Contract Manufacturing Units (“CMU’s”) of the appellant. He further erred in confirming the action of the AO in applying the Input/Output formulae of 108.19: 100 for computing alleged excess/short consumption of raw materials at the appellants CMU’s as against the formulae of 110.607: 100 as contended by the appellant. He erred in not appreciating the submissions made by the appellant in its proper perspective. 54. The only issue in these cross appeals relate to addition of Rs. 32,08,452/- made the A.O. on account of excess consumption of raw material. The facts are similar to A.Y. 1998-99. Since the facts are similar to A.Y. 1998-99, for the reasons therein, vide paras 27 to 31, the ground of assessee are allowed and the ground of the Revenue is rejected. 55. In the result, appeal in ITA No. 5318/Mum/2006 is partly allowed, ITA No. 5319/Mum/2006 & ITA No. 447/Mum/2009 are allowed, ITA Nos.5540 & 554 1/Mum/2006 and ITA No. 682/Mum/2008 are dismissed. Order pronounced in the open court on 19th August 2011.